Based in our very own eastern suburbs, the For-Tomorrow Online Store is one of the most meticulously well-curated e-boutiques we’ve come across (though it was up against stiff competition in the Best Curation award). “Based on overseas trends and the growing Australian band scene/culture”, the team at F-T provide a service, not just threads. They run a private studio, which can be visited by appointment, they offer pre-ordering ahead of season, and their blog and F-T TV channel provide even more (international) fashion inspiration to the stylish ‘smart male’ - their target niche for the current season. Standout labels stocked include Graz eyewear, Arj Selvam and Fernando Frisoni menswear. Honourable Mentions: Incu Online (Acne, Band of Outsiders, Comme des Garcons), The Grand Social (Beat Poet, ISSON, Cheap Monday), The Annex (Nathan Smith, Popissue, VIRR Footwear) and Icarus Store (Patrik Ervell, Mjolk, Robert Geller Seconds), which we profiled late last year. With all the love that ASOS is showered with, you’d be forgiven they had this category all ‘sewn up’ (true, you can’t go past their value). 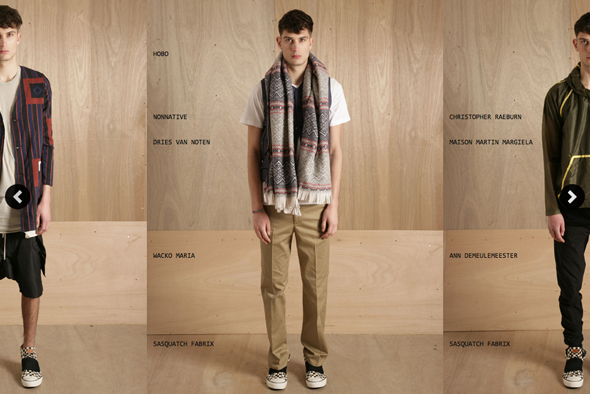 But Montreal-based SSENSE‘s menswear e-store houses high end labels with their more affordable diffusion lines. When you can shop MCQ Alexander McQueen, Rick Owens DRKSHDW, Marc by Marc Jacobs and their parent lines at the same time, you know you’re onto something good. The layout is clean, the organization is smart and the range (over 70 labels) is astounding. Some other standouts stocked include 3.1 Phillip Lim, Kris Van Assche, Common Projects and Tim Hamilton. Honourable Mentions: ASOS (J. Lindeberg, Aquascutum, Vivienne Westwood accessories), Oi Polloi (Ralph Lauren, YMC, Persol), Forward by Revolve (Henrik Vibskov, Raf Simons, Yohji Yamamoto) and My-Wardrobe (Moschino, b Store, D&G). Luxury e-tailing is booming. And with the opening of Natalie Massenet’s Mr Porter just weeks away, the menswear sector has become a lot more competitive. 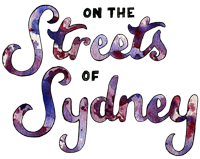 While it’s not something we see regularly on the streets of Sydney, it’s still nice to peruse international luxury stores online, as both a source of wonderment and inspiration. This award was a battle between two, with LUISAVIAROMA just edging out TheCorner.com. If TheCorner.com - powered by the Yoox Group, and stockists of Costume National, Neil Barrett and Trussardi - is the trendy boutique, then LUISAVIAROMA - born from brick-and-mortar store Maria Luisa - is the timeless institution. Beyond their finely crafted selection of pieces from the likes of Ann Demeulemeester and Balmain all the way to Yves Saint Laurent and Z Zegna, we like their all-inclusive pricing, newsletter and blog, which provides exclusive backstage fashion week coverage. Honourable Mentions: Antonioli (Dries Van Noten, Gareth Pugh, Lanvin) and Barneys (Dior Homme, Jil Sander, Rag & Bone). New kid on the block, LN-CC, provides a self-professed “all encompassing world”. Their emergence in the second half of 2010 was born out of the aim to meld retail with online in a way that has never been done before. Their London store - made up of 7 different concept rooms - is appointment only, they have an online music and book collection, and the purchasable Raf Simons Archive compiled by John Skelton (who is also Creative Director over at Oki-Ni) is an astounding resource for any admirer of the genius that is Raf. (You can also take a peek inside John Skelton’s wardrobe here). With Damir Doma, Levi’s Vintage and Issey Miyake available online, AND with Balenciaga and Yuketen on the way, LN-CC has curated a style you wish was all your own. Honourable Mentions: Oki-Ni (Bassike, Lacoste Legends, Nom de Guerre), OAK (Hyden Yoo, Jeremy Scott, Rochambeau) and Opening Ceremony (Bernard Willhelm x Camper, Christopher Kane, Alexis Mabille). Farfetch has a range of international labels that is second to none. You can shop by designer, by style (luxe, lab or cult) or by boutiques that stretch across Europe and the USA. This is because Farfetch has arrangements with shops both large and small that synchronizes their stock in store with stock online. This gives the means to smaller, more independent labels and boutiques that might not have the resources to establish themselves on the web. Add lifestyle wares, regular sales, a thought-provoking blog and a killer editorial section into the mix, and Farfetch is peerless. Designer e-Stores: Maison Martin Margiela, Acne, Alexander Wang, and local online shops Saint Augustine Academy and Chronicles of Never (both courtesy of Sydney’s For-Tomorrow). Best Accessories: Tobi, Revolve Clothing, Selfridges and EyeGoodies.